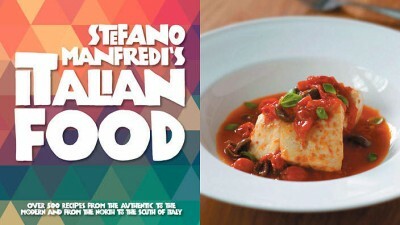 With his newest gastronomic tome, veteran chef Stefano Manfredi shows his passion for Italian is feistier than ever. Few people have done more for Italian cuisine in Australia than Stefano Manfredi. Fleeing war-torn Italy in the early ’70s, the chef arrived on Australia’s shores as a young immigrant with his family. Inspired by his mother’s and grandmother’s cooking, and food as a connection to his homeland, Manfredi took to the kitchen and forged the way for modern Italian food. His first restaurant, The Restaurant Manfredi, opened in 1983 to almost instant success. Three decades on, with Balla at Star Casino and Bells at Killcare, plus countless cookbooks and a syndicated column, the veteran chef is still an Italian culinary force. This personal account forms the introduction to Manfredi’s newest cookbook, Italian Food. It also includes the chef’s recent passion for Italian wines and the culinary traditions of the country’s 20 provinces – not just Lombardy, where he originates – which he signals as the motivation for writing this book. While Manfredi describes it as a “gastronomic tour of Italy” – an apt description, with chapters broken down by region, and antipasti, primi, secondi and dolce recipes given for each – Italian Food is even more. It is a tome, with a comprehensive culinary history of the country, covering 12th century BC until now, written by John Newtown, plus a breakdown of Italy’s 377 grape varieties and detailed information on Italian ingredients and cooking techniques. There are few photos, and styling is wanting, but there is more than enough in Manfredi’s stirring words to induce any cook to take to the stove. Newtown attributes Italians’ – and indeed the world’s – love affair with Italian food to its simplicity, and Manfredi’s recipes are similarly straightforward and authentic. Many of the recipes include practical introductions, such as which white fish to use, and all come with a wine suggestion. With over 500 recipes, it’s hard to name just one – or know where to start. Try Manfredi’s version from Campania of an Aussie-Italian favourite: deep-fried zucchini flowers filled with four cheeses. Sicilian-style roast sardines – in Sicily, caciocavallo, a cow’s milk cheese, is mixed with onion, garlic, sultanas, pine nuts and breadcrumbs to form stuffing for sardine fillets. The rolls are skewered and baked, then served with a lemon juice and olive oil dressing and caponata. “Extra virgin olive oil – it’s the ultimate oil,” writes Manfredi. “Nothing comes close for sheer natural goodness and the flavour of the Mediterranean. Don’t be afraid to cook with it. Both shallow- and deep-fried foods benefit from the fact that this oil has never been heated, which means that all antioxidants are intact. Italophiles, history buffs, tome collectors, regional Italian food enthusiasts, and cooks looking to expand their Italian repertoire beyond the classics.